Sensory overload is the best way to describe how I felt walking onto the convention floor at PDN’s PhotoPlus International Conference and Expo at the Jacob Javits Center in New York. If you’ve ever been to the city’s B&H Superstore, multiply that sense of awe times the factor 10, sans the ceiling conveyer belt system. PhotoPlus Expo, designed for professionals and enthusiasts in the photographic and imaging industries, showcases the latest advances in photography. 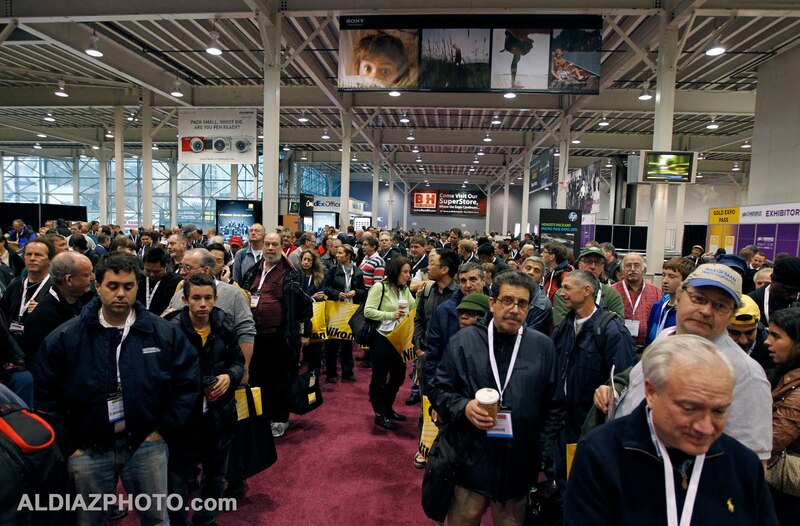 Attendees are able to explore hundreds of exhibits and attend a wide variety of photography and imaging seminars. As I stroll in, first up, the Canon U.S.A. Inc. pavilion. Holding court is Vincent LaForet speaking on stage to a large audience hoping they can soak up a fraction of LaForet’s vision, talent, branding and marketing skills. To the right is the new flagship of the EOS line, the EOS-1D X on full display along with the latest Canon EF 400mm f/2.8L IS II USM Image Stabilizer AutoFocus Super Telephoto Lens, demonstrated by Canon Professional Marketing Specialist Chuck Luzier, National Manager Dave Carlson and a host of other Canon representatives. Around the corner and popping away with strobes is the companies Explorer of Light educator Ken Sklute demonstrating the use of Canon Speedlights. Canon USA, Inc. Field Engineers Fernando Echeverria and Paul Ng, at left, and National Manager David Carlson with Canon's Professional Market Representative Chuck Luzier at right. Wow, I’ve only been on the convention floor 30 seconds as I’m soaking this all in. At this point I can’t see the forest for the trees. Where do I even begin! Already, my convenient full-scale convention planner has imploded. My list of manufacturers I want to visit has multiplied with so much to see and hear! 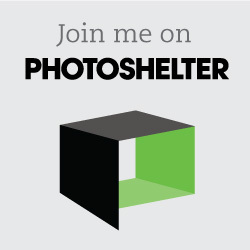 Three months ago I decided to attend PhotoPlus after texting Simon Pollock and asking if he was going. The social media guru of Think Tank Photo said absolutely and convinced me I should too. 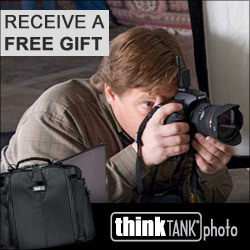 As a Think Tank Photo affiliate, the whole reason for me to be here is to meet the folks who have been so generous sponsoring me all year with product I give away at lectures or online. With blinders on and my head spinning, like Linda Blair in the Exorcist, I race through the gauntlet of widgets and gadgets. 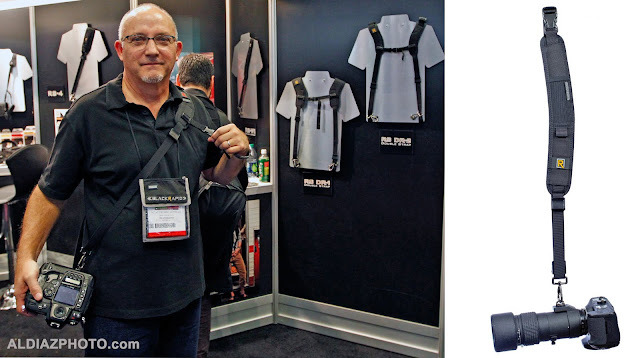 Till, low and behold the holy grail of camera bags, its Think Tank Photo heaven with a new line of products. 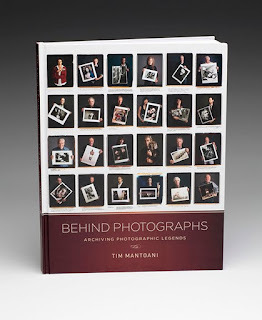 There’s Pulitzer Prize winner photojournalist Deanne Fitzmaurice chatting with photographer Tim Mantoani while holding his new book Behind Photographs: Archiving Photographic Legends Book. I soon meet Aussie accented Simon for the first time, Kurt Rogers, co-founder of Think Tank Photo and Jerry Dodrill, Dede Stanley and Chief Operating Officer Andrew Hutchins. and will be available for sale in early December. These succeed the Modular and Skin set items that have been on sale. The Version 1 cases and pouches will still be available for sale on our site for as long as we have inventory. Please **click here** to fill in a simple form with your first name and email address and we will alert you when the new Modular Rotation gear is in stock. In the meantime, Simon and Kurt run off to shoot video and to fill their Hubba Hubba Hiney bag with free swag! Next stop is Lensbaby where they bend the rules. Meet Kirsten Hunter, Director of Customer Happiness! “See in a new way” says Hunter as she displays the whole line of creative effects, lenses and interchangeable optics designed to help artists capture their unique vision. The company prefers to see themselves in the business of rule-bending. This year Lensbaby introduced the addition of the Sweet 35 Optic to its Optic Swap System and the companies newest SLR creative effects camera lens, the Composer Pro. Swinging away is BlackRapid where I meet Marc Gottula, Director of Sales. I express my concerns with the RS-4 that I use. The strap keeps extending to my knees after prolonged use. He suggests the RS-7 which I now have and love! Works great shooting football. 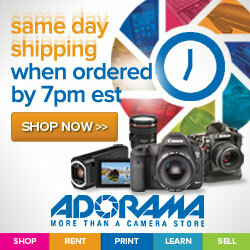 One of my camera bodies has the RS-7 attached with a 70-200 2.8. It’s super fast to switch from the 400 2.8 on a monopod to the short lens on a fast break to the endzone. 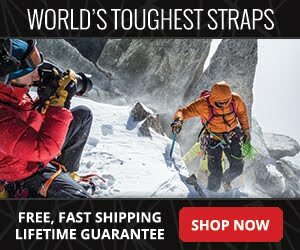 It’s a smooth transition and the strap never gets hung up on my neck or friction on my shirt caused by anti-slip rubber on traditional camera straps. Svitlana Laptieva and Christian Vigilia spends time with the creator of the expandable studio photographer Brian Hedenberg. Floating away I visit the incredibly inflatable Expandable Photo Studio by Massiera Industries and meeting up with creator Brian Hedenberg. From the size of a suitcase, the durable, compact, lightweight material expands in minutes into a photo studio. Their smallest selection measures 22ft x 15ft x 13 ft. Just slightly smaller than my detached garage, costing tens of thousands to build, the EPS is extremely affordable. In a flash I spot the next evolution of lighting by Rogue photographic design. At least that’s what I plan for my next workflow evolution by using Roque lighting tools for my speedlights. 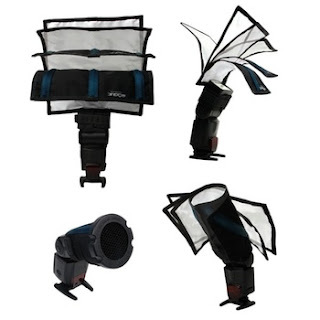 Roque Flash Benders, reflectors, bounce cards, diffusion panels, grids and filter kit give you lots of options for controlled lighting using small portable strobes. Flying into orbit is Westcott’s new 43” Apollo Orb. The first octagonal softbox that doesn’t require an adaptor ring and the 16” x 30” Apollo Strip with it’s narrow profile, makes it an ideal hair, rim or accent light. 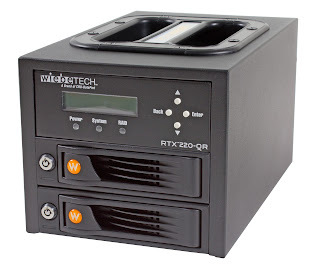 Back out of the cloud is Wiebetech, reengineering from the ground up, their RTX 220-QR Portable storage with RAID has never been more affordable and easier to use. WiebeTech is a brand of CRU-DataPort. The RTX220-QR provides a fast way to mirror, stripe or create a quick backup disk. Maybe I’ll finally get my digital life properly backed up and organized. Camera Bits President and CEO Dennis Walker with Support Manager Bob Russell. At right, photographing attendees at the Chimira lighting booth is Manager of Marketing Terry Monahan. I ingest my way to the Camera Bits booth with President and CEO Dennis Walker and Support Manager Bob Russell featuring Photo Mechanic. The software is used daily by thousands of photographers worldwide as the hub of their digital workflow with convenience and speed. The image browser has some new features in their latest Version 5.0. New and improved professional look and feel with additional features in the main contact sheet view. Non-modal preview window can be kept open on a second monitor. Thumbnail strips can be either on top or on left. Crops can now be rotated to arbitrary angles to match the horizon, and the crop that is stored is compatible with several other popular applications. Previews can display blown/clipped highlights and underexposed/clipped shadows. Movies can be played internally and frames can be extracted with a crop applied. New and improved Export plug-ins. Ingest can now automatically begin upon flash card mount. Improved speed of browsing and operation by using internal database caches for user command and “sort/filtering” preferences. Sony Artisan Brian Smith, at left and Canon's Explorer of Light educator Ken Sklute give workshops on the PhotoPlus Expo trade show floor. 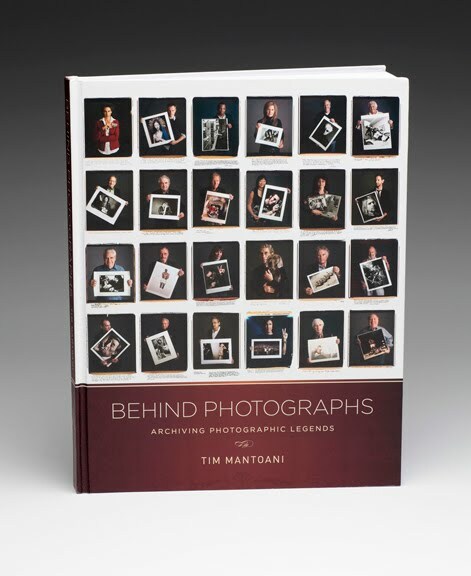 Secrets were told by celebrity portrait photographer Brian Smith as he shared the lessons he’s learned over the past 30 years capturing the faces of the famous, infamous and un-famous as a top magazine portrait photographer. Brian was speaking and doing shooting demos along with all of the Sony Artisans at the Sony booth on the PhotoPlus Expo trade show floor. Just when you thought you’ve seen every variation of a business card two companies give you further options on what you can carry in your back pocket. First I spotted Moo business cards using Moo Printfinity printing technology that lets you print a different image on each Business Card, MiniCard, Postcard, Greeting Card or Sticker in a pack. Lay them out and you have a portfolio in your pocket. Nice to meet you, pick a card! Next up is Pexagon Technology and their full color eBusiness cards. Plug in the slim USB device the size of a business card and your client will go directly to your website or launch a gallery of images. All your information can be imprinted on the outside of the device. Exiting my way out I spot Fred Metzler, senior professional market representative for Canon, demonstrating the Canon Realis line of digital photo and video projectors. The high-resolution projector uses liquid crystal on silicon technology to display all the detail and texture captured by your digital camera, projecting sharp seamless images with film like quality. Equipped with advanced color management settings, Realis projectors have everything needed to display digital photos and videos with exceptional color and accuracy in a compact unit. Now I know what to do with my garage. Dump everything and convert into a home theater using a Realis projector. Videos by Simon Pollock and Kurt Rogers of Think Tank Photo.